Our family resides in a suburb outside of Charlotte, NC. We have been active in local mission work and community outreach for some time now. However, it wasn’t until Holly took Ellie to Guatemala for the first time in 2016, that our family trajectory really changed. Having always had a heart for missions, we supported others going overseas to follow the Great Commission. But, when we stepped foot on Guatemala soil and laid eyes on the beautiful faces there, our hearts were changed. The following year, 2017, we took the rest of the family back to Guatemala so they could fall in love too. And as expected, they certainly did! A week-long visit, however, never seemed long enough. 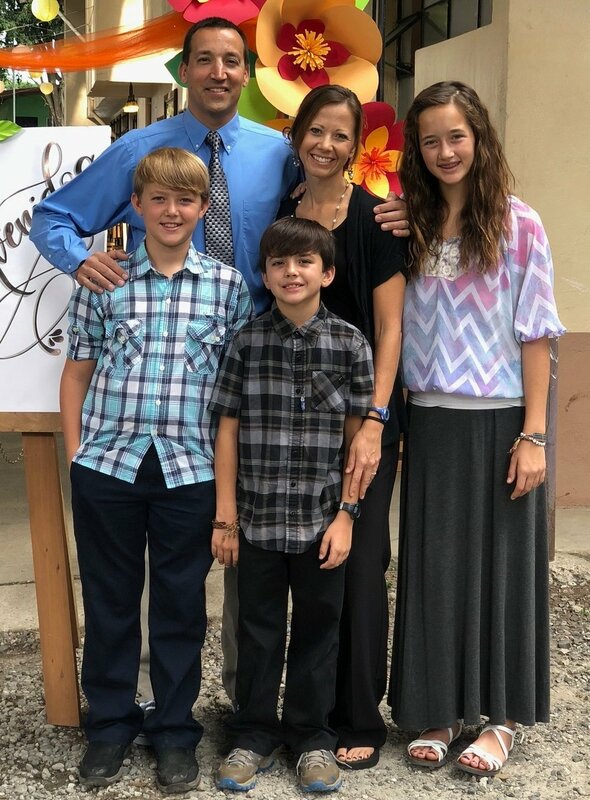 In November, 2018, we took the plunge and went down for a month of service as a family, and returned seven weeks later as part of a mission team from our church, Christ the King. We are currently planning another month of service as a family for the end of 2019. When we visit the people of Guatemala, our number one goal is to show them Jesus. We want them to experience the joy of salvation and it often begins by simply making them feel lovable. And in fact, this is our number one daily goal, regardless of where we are. We are trying to live life on mission, as a family, every day. This website simply shares some of the ways we are trying to do so and hopefully it inspires others to take their families “on mission” as well.